In MKE, we celebrate St. Patty’s Day all through the weekend. 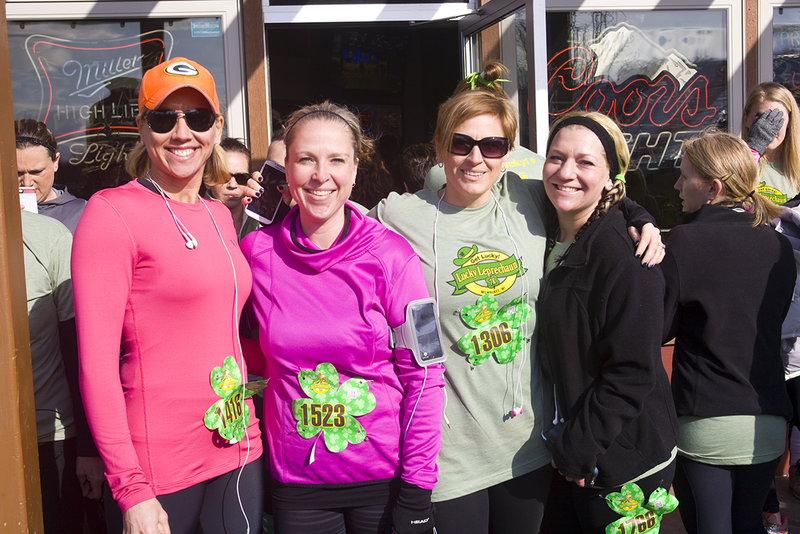 And one event you won’t want to miss is the Lucky Leprechaun 7k! 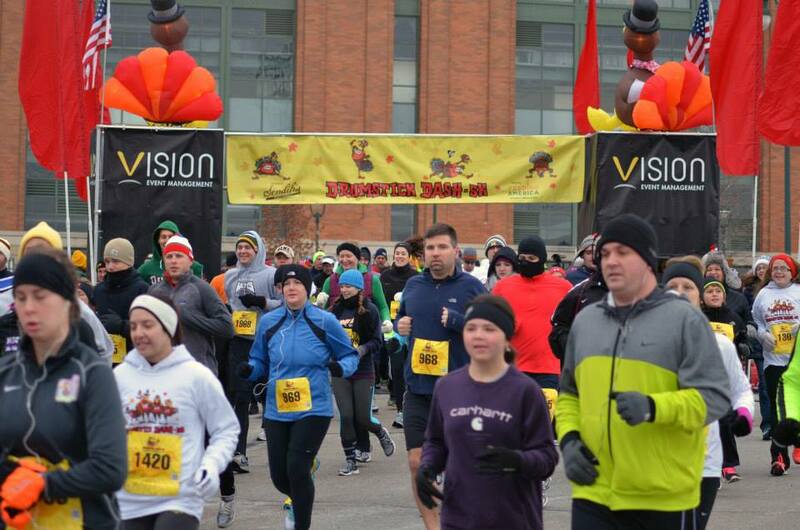 Below, Joe Trinosky, Marketing Manager with Vision Event Management, tells us all about this year’s race and why it will be the biggest and best yet! Can you tell us a bit about Lucky Leprechaun and what makes it unique? 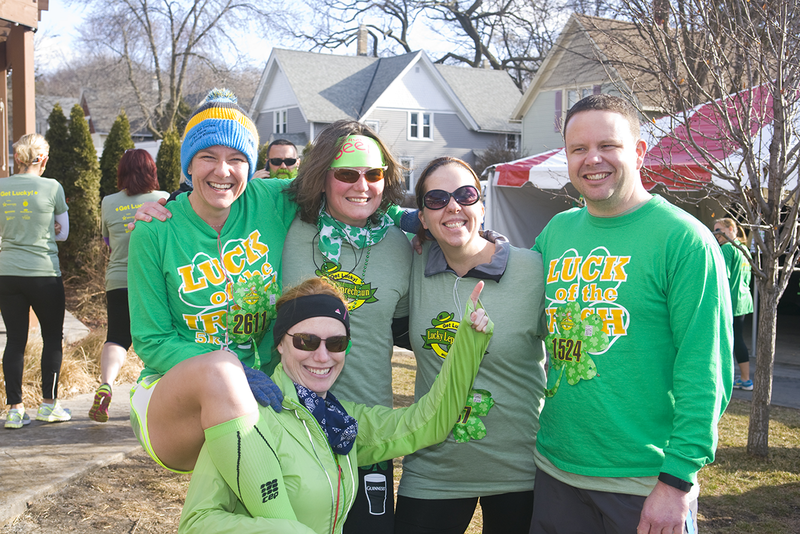 The Lucky Leprechaun 7K is a fun 4.3-mile jaunt through Tosa, beginning and finishing in Hart Park. We have the best post-race party in town at Leff’s Lucky Town, which will feature nationally touring DJ Sinclair along with a live band, games, 2 free green beers from Miller Lite, plenty of food options and more fun than you can shake your green beads at! 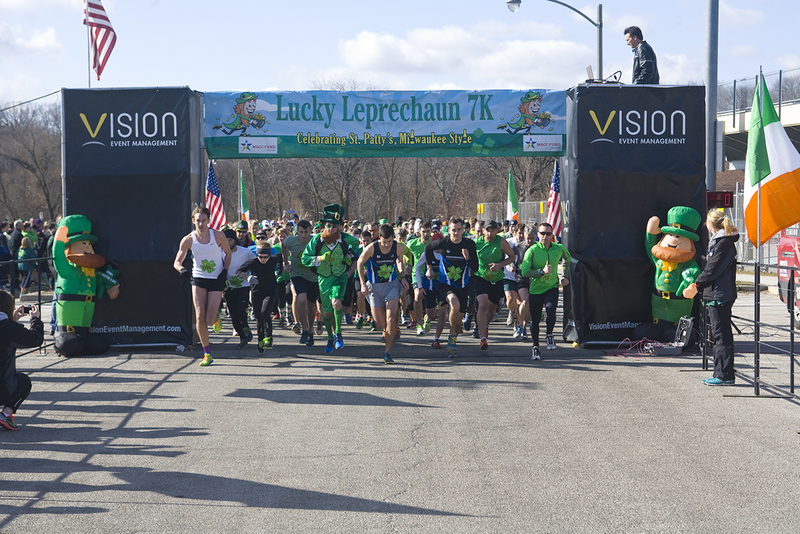 We have really upped the party in 2016 for the Lucky Leprechaun 7K! There are many additions coming this year to ensure everyone has a fantastic time, which include perks from mini-boxes of Lucky Charms at the finish line to celebratory green beer from sponsor Miller Lite. We are also upping the party by including nationally touring DJ Sinclair and will have some of the best party games for everyone to enjoy. But seasoned veterans needn’t worry – the longstanding favorite aspects, such as our 10:00am start time, will remain in 2016. The 7K (4.3 Miles) course will start and finish near Leff’s Lucky Town and will incorporate Hart Park and the village of Tosa. 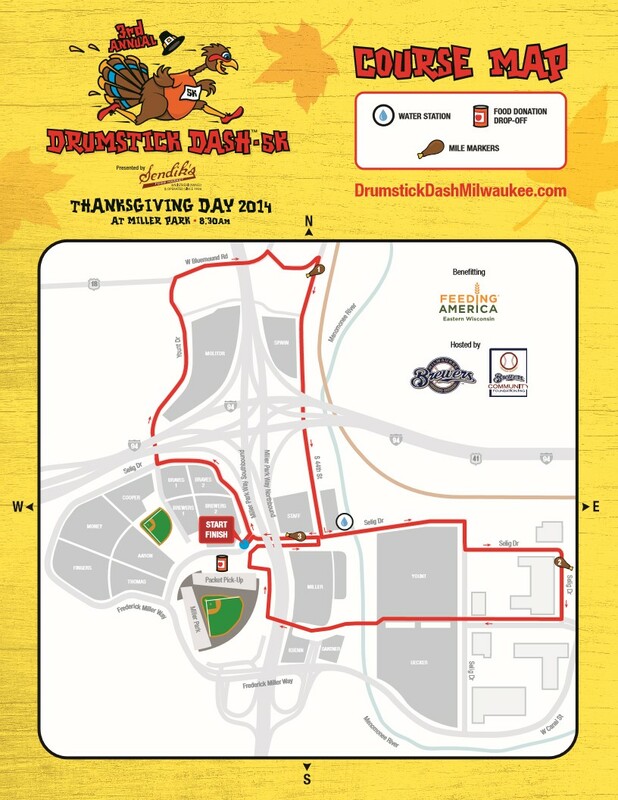 One water station will be located approximately halfway through the course as well as the start/finish line. Mile markers and clocks will be displayed at each mile. 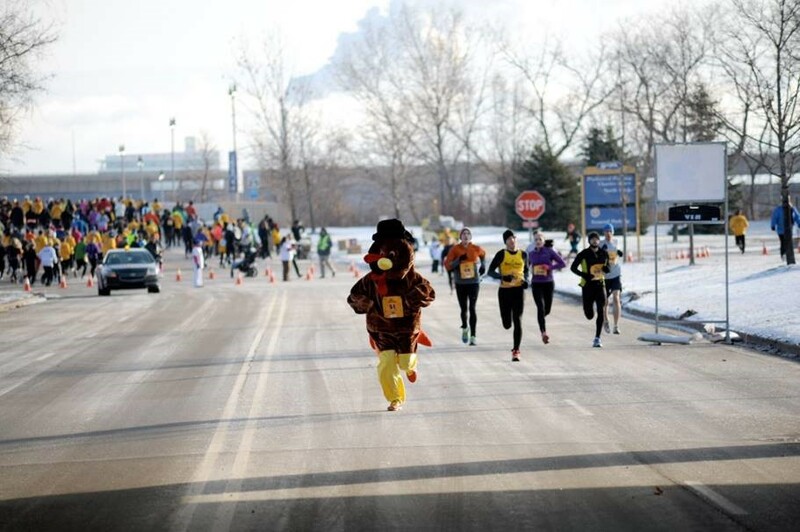 Those that are hoping for a fast time should pace themselves off of Zippy, our speedy mascot who will be leading the pack and hoping to keep everyone away from his pot o’ gold! Award divisions in 2016 will consist of top three men, top three women, and there will also be a prize for the first 10 people to beat Zippy, our running leprechaun. 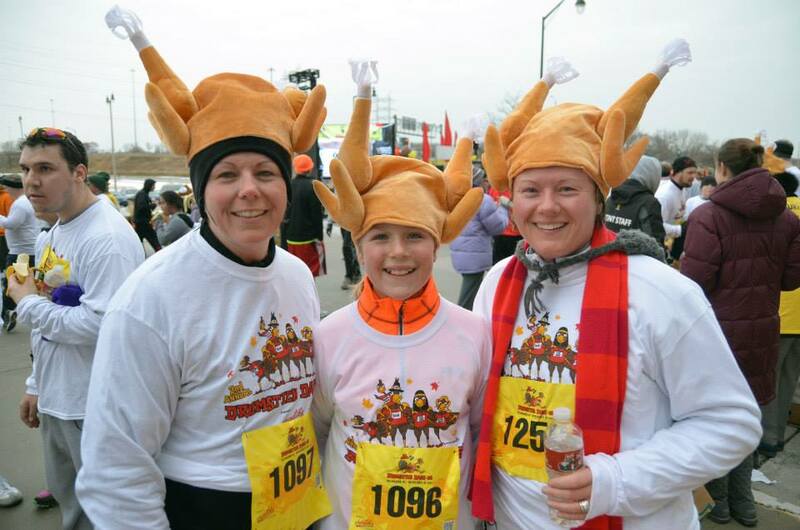 Runners #7, #77, and #777 will also be awarded prizes for being one of the “Lucky #7” finishers! 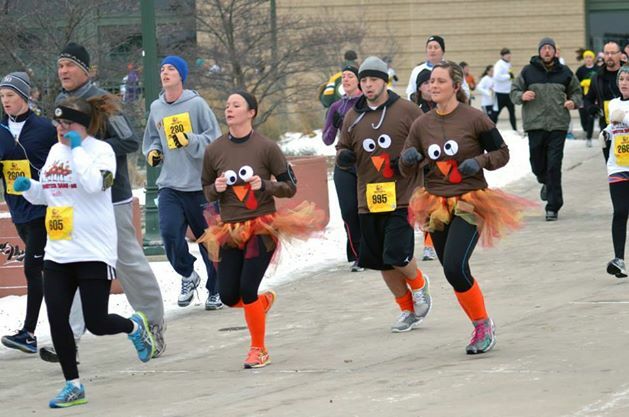 This year’s Lucky Leprechaun 7K is blowing it out for everyone that registers! Everyone will receive a commemorative T-shirt and for this year’s race, we pumped up the party by bringing DJ Sinclair to the start/finish line. As everyone crosses the finish line, they will be greeted with gold coins, Lucky Charms and green beer from Miller Lite. There will also be coffee and hot cocoa from Valentine Coffee. Marcus Theaters will have popcorn available to the first 500 people who visit their booth. Plentiful food options will be available as well as live music, theme dancers and music from a bagpiper. It’s going to be a festival that just happens to include a race for everyone to enjoy first! 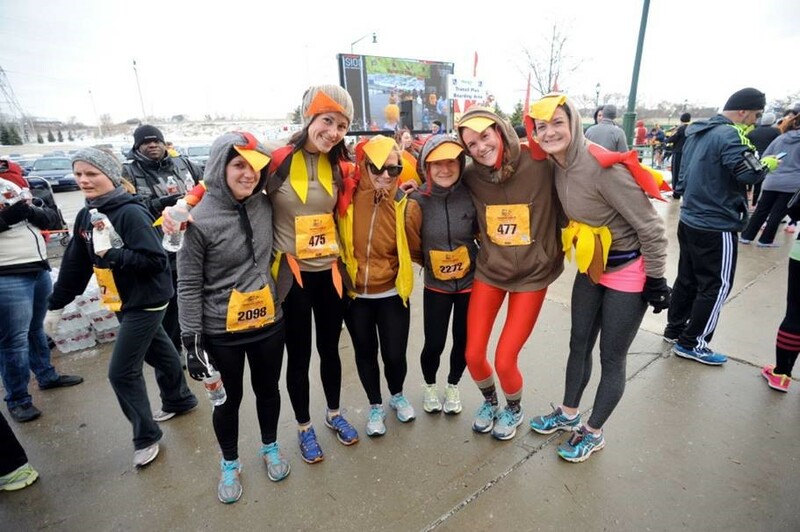 This year, we really amped up the pre- and post- race events! Before the race all participants are going to be able to warm up to the beats of nationally touring DJ Sinclair, who has been rocking the US from coast to coast for years. We will also have the traditional bagpiper on hand to keep us in the Irish spirit. At the post-race celebration, we have upped the party and there will be everyone’s favorite party games and both DJ Sinclair and Tallymoore on-hand keeping everyone entertained while they enjoy two complementary adult beverages from sponsor Miller Lite. For those that don’t wish to partake in adult beverages, drink tickets can also be used to redeem coffee and hot cocoa from Valentine Coffee. When the post-race munchies hit, Leff’s Lucky Town will be preparing a special selection of food. There will also be food available from two food trucks, Gouda Girls and Burgermeister. Everyone is encouraged to keep the party going at Leff’s and enjoy the first weekend of college men’s b-ball tourney games! Amazingly enough, we have already maxed out our volunteer spots for the 2016 Lucky Leprechaun 7K! With the help of the MACC Fund, all volunteer help was secured very early. We would like to take this time to say ‘Thank You’ to all of our volunteers in advance! Thanks so much for chatting with us, Joe! Do you have a lucky item or ritual? If so, what is it and what’s the significance? Best of luck to all who enter – We’ll announce the winners on Feb. 23! 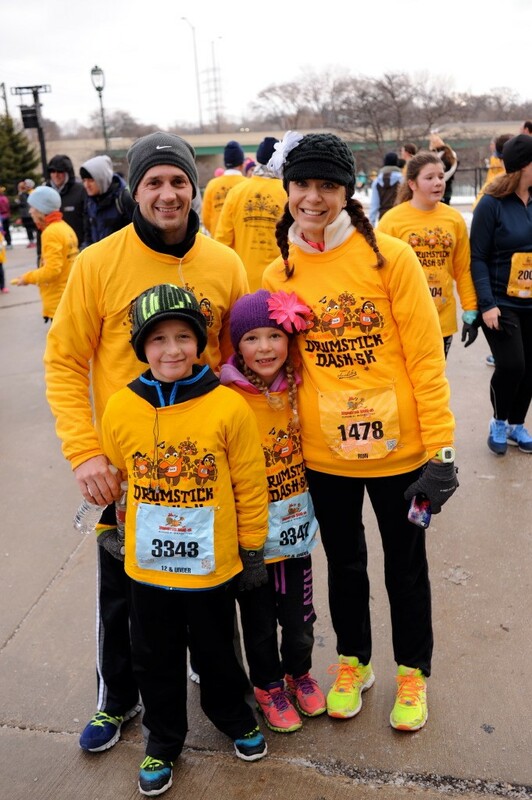 In the meantime, if you’d like to register for the race, use the code RUNMKE1 to save $5!